It’s good for all of us business owners to regularly stop and evaluate what’s working well, what could work better, and what isn’t working at all. Julie and I share this checklist as a tool you can use to assess how well your CRM system is benefiting you and how, perhaps, it could do even more for you. Has your work space been customized to show you the data you need in the form you need to see it? Mashups, timelines, and other visuals present information from which you can make better informed decisions, increase productivity, and facilitate more thoughtful conversations with customers and prospects. Does your CRM system provide business management dashboards with snapshots of forecasted revenue, sales performance, top accounts, top opportunities and common service/support issues? Can you access vital opportunity data to forecast revenue, make adjustments in territories, and drive more deals to a close? Every business owner I know loves to have just such an accurate forecast of the "real sales" coming to their business. Does your CRM system match a well-developed sales process with the customer buying process? New sales associates can get up to speed faster with a clear path to follow and a CRM system to keep their eyes focused on the top opportunities in front of them. 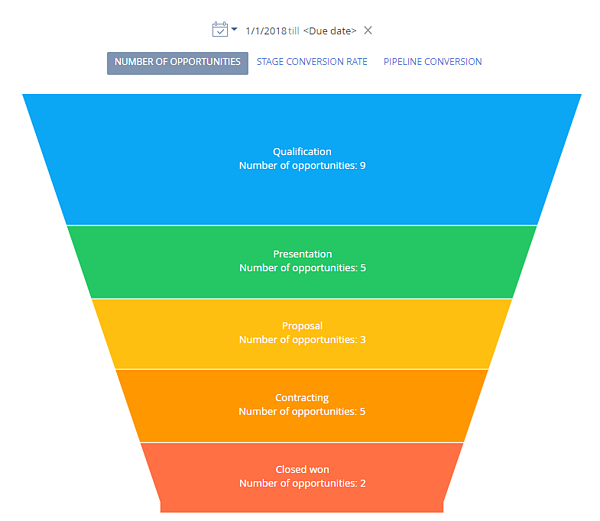 Can you easily import leads, de-duplicate them, and qualify them? For instance,bpm'online CRM or Infor CRM (formally Saleslogix) does all those things to make sure clean, viable leads are in your system. Does your system create next activities for leads, retain a history of past activity with them, and automatically distribute hot leads to your teams before they cool off? Infor CRM does that, too. Can you create, execute, and track highly effective, multi-channel campaigns from within your current CRM system? With Infor CRM or BPM'online, for instance, you can target your most profitable prospects and customers with information that you know will be meaningful to them. Does your system integrate with and automate email marketing? E-marketing, an on-demand service, extends the marketing automation capabilities of Infor CRM or Swiftpage Act!, enabling you to quickly and effectively reach out to your contacts, qualify and nurture leads, and grow your customer base. Can your system provide your sales force with self-qualified contacts based on viewers’ open, clicks, and time spent viewing the content that most interests them? If you need smarter, more integrated marketing automation look to Sales Fusion or InboxGuru built-in integration to Infor CRM or use bpm'online with its integration marketing automation. 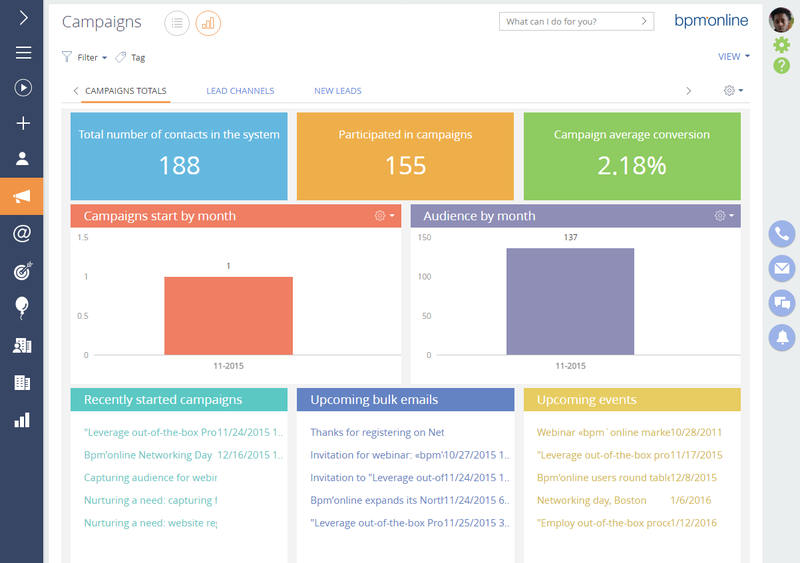 Marketing automation systems provide valuable metrics on what campaigns are working. 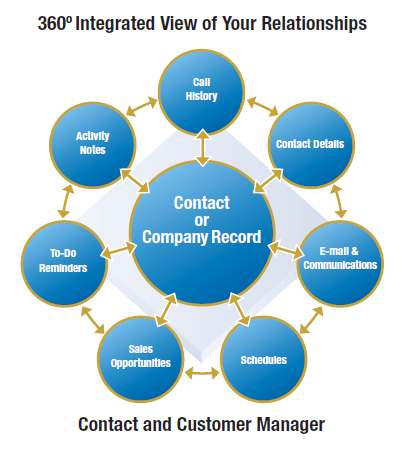 Does your CRM system deliver a 360-degree view of your customers? You can enhance the customer experience and build loyal relationships when you can see all your company’s interactions with them, across departments. Can you easily get a 360-degree look at metrics on the key areas of your business, as highlighted by your customers? What issues are they reporting? Those kinds of reports will help you make product, service, and process adjustments faster! Does your system have a user-friendly interface, customizable work spaces, and a consistent experience across all access methods? 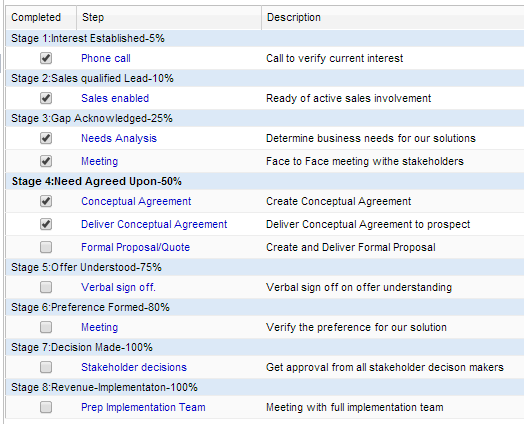 These elements of a successful CRM choice increase productivity and ensure higher end-user levels on your team. Clients often respond that bpm'online CRM and Infor CRM (Saleslogix) are very intuitive and that they are able to become proficient quickly - a big plus for user adoption. Can sales, marketing, and customer service all see information on all customer interactions across your entire organization? When they can, they are better equipped to sell to and service customers. 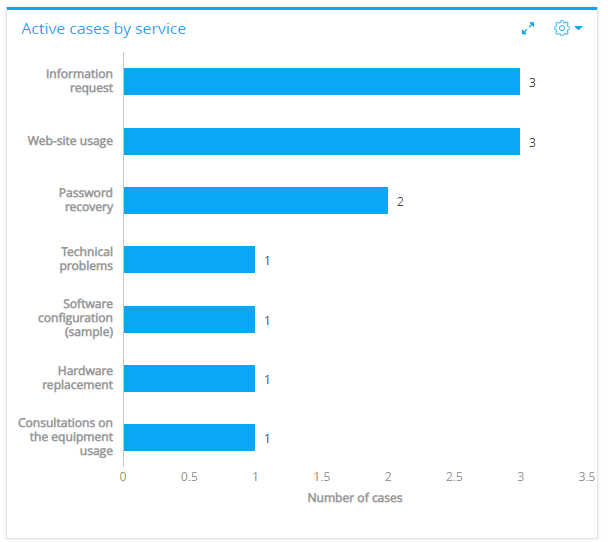 Can you easily view the breakdown of the customers by industry? 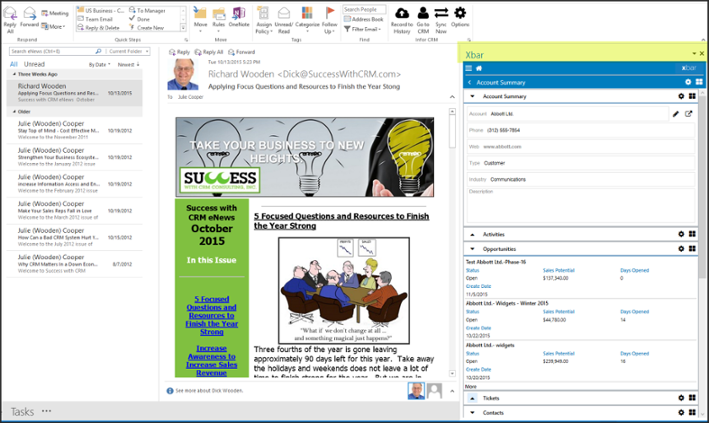 Can you integrate communications with Google Gmail or Microsoft Outlook with your CRM? 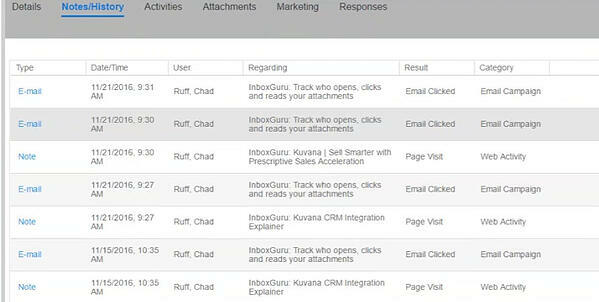 Infor CRM even goes so far as to show its information inside your email system. Great for user engagement! Does your CRM system contribute to your optimal time management? Organize and track your activities, meetings, phone calls, and more, so you can organize your days and perform your job effectively. Does your CRM automate your proven processes to drive opportunities to a close and to increase team productivity?Eliminate mistakes, alert users of issues, keep on top with business automation like TaskCentre. Does your CRM have a foundation in BPM - business process management - for sales, service and marketing? Our recommendation is BPM'online. It’s complete--one platform, single interface, interconnected processes. 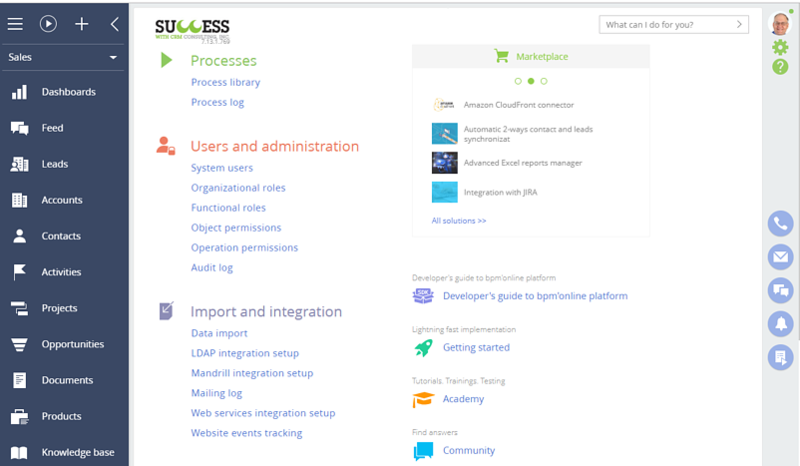 Does your CRM automate your proven processes to drive opportunities to a close and to increase team productivity?Eliminate mistakes, alert users of issues, keep on top with business automation like Codeless Platform, formally TaskCentre. 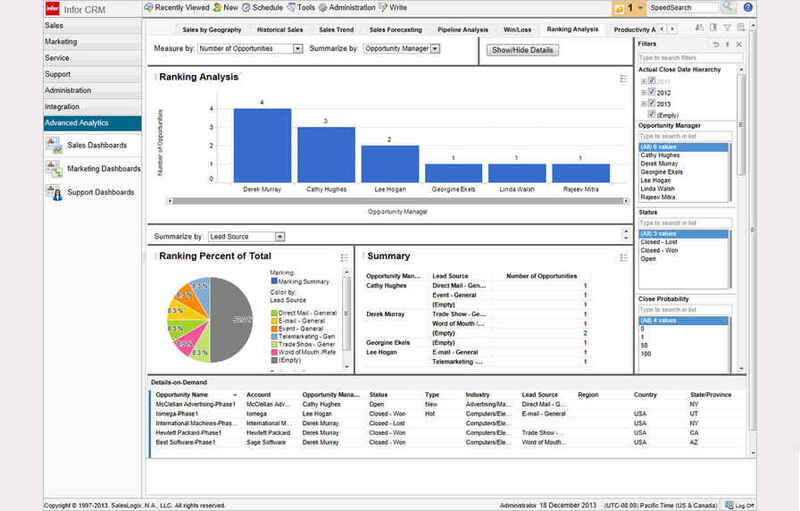 Do you have all the business analytics tools you need and want? Or are you unaware of what more might be available to inform your strategic decisions and improve your business? Gain deeper understanding of business and team performance through graphical dashboards, powerful reports, and other advanced business analytic tools. Using your CRM system, can you help customers help themselves? Set your business apart by enabling customers to find the answers they need and submit cases 24/7 via a customer self-service portal. Can you quickly look up and organize groups of contacts, accounts, and more, and create letters, e-mails, and other customer and prospect communications? The ability to do so increases sales effectiveness and customer service as well as your team’s efficiency. Have you tailored your solution to mirror your distinctive business processes and industry needs so you get the most out of your CRM? This is one of our favorites because you'll have a system that integrates within your business model and can continue to grow to meet your business changes. 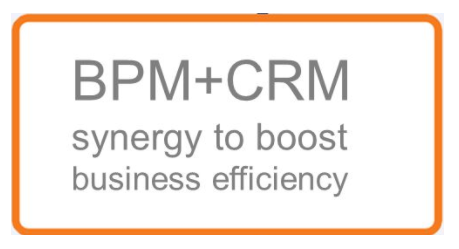 Select an intelligent BPM platform and unified CRM for a unique synergy for accelerated business transformation. Does your CRM solution seamlessly integrate with common productivity applications and accounting solutions ( such as Quick Books, Infor ERP (Syteline & 6 others), Sage 100/200/500, MAS 90, BatchMaster) so your organization can leverage its existing IT infrastructure? Sales reps love to see what past sales have occurred for a customer account and accounts receivable information from accounting for better informed conversations. The rest of the checklist relates to finding and utilizing a professional CRM partner brings to your business success and provides information in answer to other questions you might have as you evaluate what you need going forward. 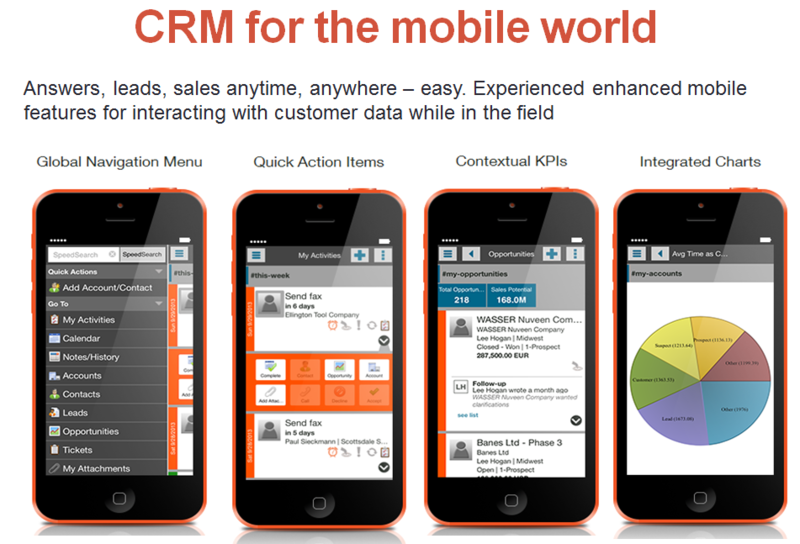 Would you best benefit from a complete CRM solution out-of-the-box that’s easy to install? Or will it be in your best interest to leverage an experienced partner such as Success with CRM Consulting, Inc to work with you every step of the way - from implementation and support to training and advanced customizations? Do you have an experienced CRM partner who provides both hands-on education by group or chair side along with web based where we can record the audio/video training to be again as a refresher? Our Success with CRM Consulting firm provides all the above as part of our partnership with our clients. Is there access to Quick Actions, resource links for a quick start and customized reporting options? A cloud subscription license per user per month will typically range from $35 - $65 depending on the CRM system used, total number of licenses and years of a contract. The BPM'online, Infor CRM and Swiftpage ACT solutions is also available as a one-time capital purchase. It is then deployed on-premises or in your private cloud. Pricing per license will run from $300 for ACT to $900 per user for a full CRM solution. Implementation Investment considers items such as migrating data, importing from multiple sources, system design, user interface modifications, business process design and implementation, integration with emails, marketing and ERP systems, education of administrator and end users, pilot phase testing, quality control and final roll out. Read more here about factors affecting CRM Pricing and Implementation. 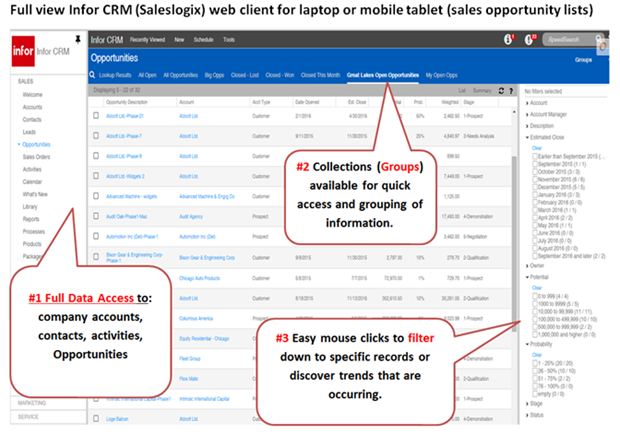 How does your current CRM solution measure up to the potential benefits? What capabilities are most important now in your business and will be needed in 5 years? Editor's Note: This post was originally published in December 2014 and has been completely revamped and updated for accuracy and comprehensiveness.